Totally BEACHFRONT! 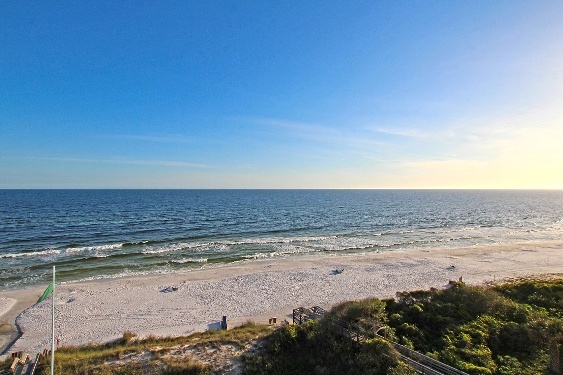 One of the guests’ favorite condos at One Seagrove Place, Unit 701 is perfectly positioned - high enough for spectacular and expansive views of the beach from dawn to dusk, low enough to feel part of the beach - with the TOTAL PRIVACY that an EAST END unit affords. 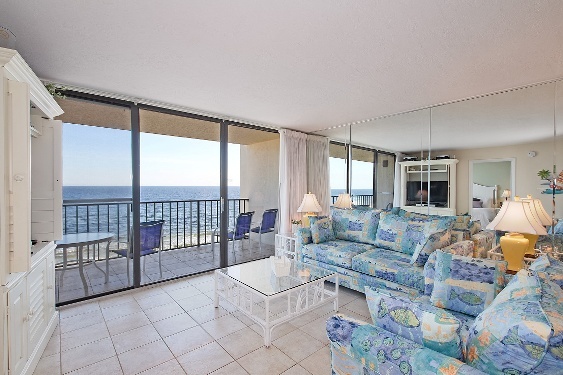 No other unit looks onto your beachside balcony or into your unit. Step out to view the sunrise in your nightclothes, then crawl back into bed for a few more winks. 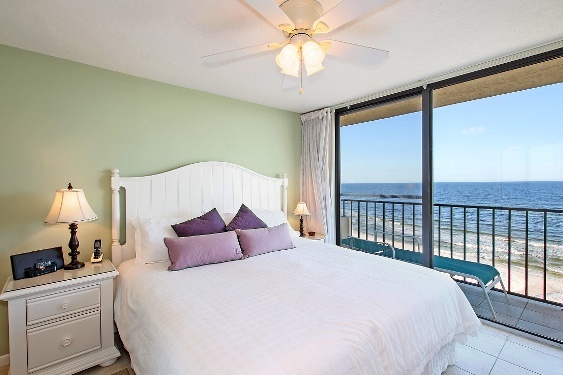 Unit 701 has COASTAL DECOR with comfortable balcony furniture, new sheer and room darkening draperies in both living room and bedroom, and fresh white bedding. 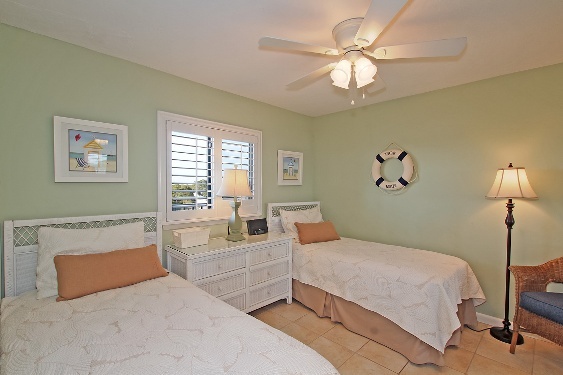 Beds are king, twin, and sofa-sleeper (sleeps 6). 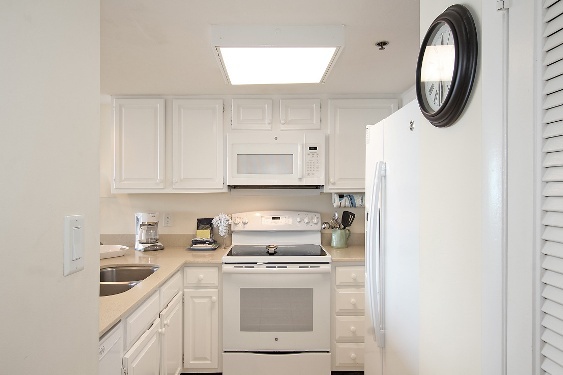 RECENT UPDATES include all new appliances, new couches, new master bedroom furniture, the refinishing of the living room furniture, new LED kitchen lighting, and more, with the owners continuing to update regularly. The kitchen is fully stocked for snacking or gourmet cooking. There’s even a crock pot! TVs are flat screen HD - 42”, 37’, and 32” - with cable and Blu-ray. 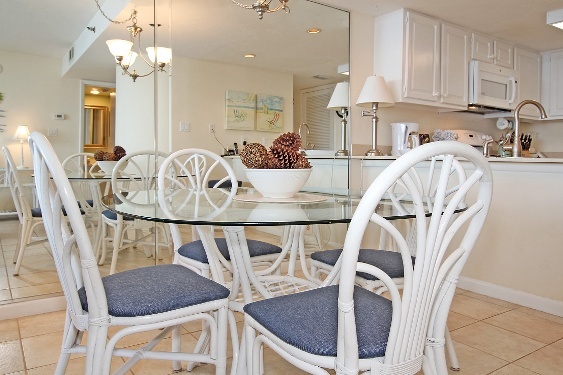 We also include washer/dryer, steam iron, ironing board, hair dryers, FREE WiFi and seasonal beach chair set-up. We await your arrival!